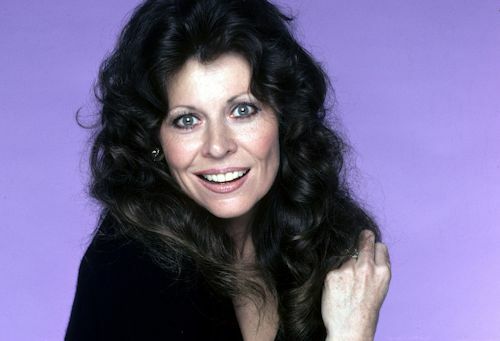 8:00PM Frasier - "Miracle on Third or Fourth Street"
Actress Ann Wedgeworth, who was known for her roles as Lana Shields in Three's Company and as Merleen Elldridge in Evening Shade, has died. She died on November 16 after a long illness near her home in New York City. Ms. Wedgeworth was 83. Wedgeworth had main roles on several daytime soap operas. She starred as Angela 'Angie' Talbot on The Edge of Night from 1966-1967 and as Lahoma Vane Lucas on Another World from 1970 to 1973. She also appeared in the Another World spinoff series, Somerset. Some of her early television guest appearances included Kraft Theatre, Startime, The Defenders, Hawk, and Bronk. She had a recurring role as Lana Shields in nine episodes in the first half of the fourth season (1979-1980) of Three's Company. Lana was a promiscuous older female neighbor who pursued Jack Tripper (John Ritter) and was in turn pursued by Mr. Furley (Don Knotts). In 1998, she was interviewed for the E! True Hollywood Story on Three's Company. 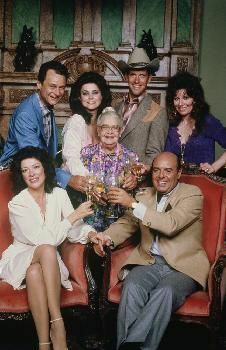 Wedgeworth starred as the good-natured but ditzy Bootsie Westchester, wife of Wild Bill Westchester (Jerry Hardin), in the 1982-1983 CBS sitcom Filthy Rich. The Linda Bloodworth-Thomason created series also starred Slim Pickens, Forrest Tucker, Delta Burke, Dixie Carter, Charles Frank, Michael Lombard, Nedra Volz and Vernon Weddle. Her longest running role was on Evening Shade, which aired on CBS from 1990-1994. 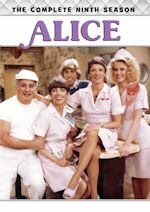 She starred as Merleen Elldridge, the lusty wife of Dr. Harlan Elldridge (Charles Durning). 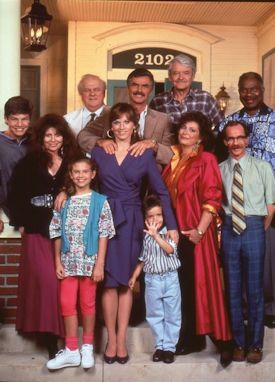 The Linda Bloodworth-Thomason created series also starred Burt Reynolds, Marilu Henner, Hal Holbrook, Ossie Davis, Elizabeth Ashley, Michael Jeter, Jay R. Ferguson, Charlie Dell, Candace Hutson and Jacob Parker. Some of her later televison guest appearances included One Life to Live, The Twilight Zone, The Equalizer and Roseanne. Her film credits included Scarecrow, Bang the Drum Slowly, Law and Disorder, One Summer Love, Thieves, Handle with Care, No Small Affair, My Science Project, Sweet Dreams, The Men's Club, A Tiger's Tale, Made in Heaven, Far North, Steel Magnolias, Hard Promises, Love and a .45 and The Whole Wide World. Wedgeworth was also known for her work on Broadway and off-Broadway productions. She won the Tony Award for Best Performance by a Featured Actress in a Play for Chapter Two in 1978. Some of her other credits included Make a Million, Period of Adjustment, Blues for Mister Charlie, The Last Analysis, Thieves and A Lie of the Mind. Survivors include her husband, George Martin; her two daughters, Danae Torn and Dianna Martin; and stepsons Michael Martin and Greg Martin. Ms. Wedgeworth was a talented character actress. 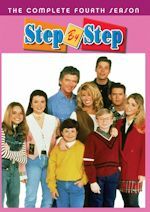 She appeared in only nine episodes of Three's Company, but it seemed like more because they were always funny and memorable. It was a bit outrageous to believe that Jack would reject Lana's advances. Evening Shade was an underrated show, which should be available complete on DVD. She will be deeply missed. 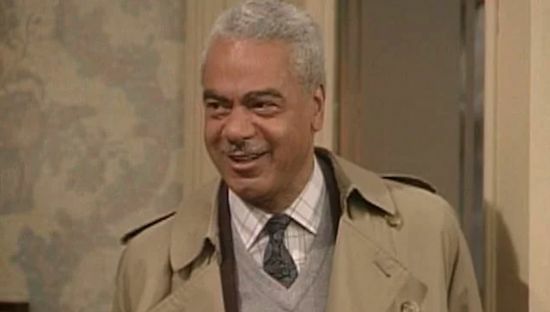 Actor Earle Hyman, who was known for his role as Russell Huxtable in The Cosby Show, has died. He died on November 17 at the Lillian Booth Actors Home in Englewood, New Jersey. Mr. Hyman was 91. Hyman's early television guest appearances included The United States Steel Hour, Espionage, East Side/West Side, The Nurses, Playdate, The Defenders, Seaway and Madigan. 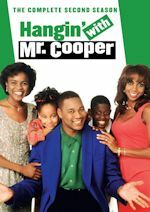 He appeared in 40 episodes of The Cosby Show as Dr. Heathcliff (Cliff) Huxtable's (Bill Cosby) father, Russell Huxtable. He was married to Anna Huxtable (Clarice Taylor). 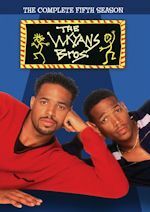 The 1984-1992 NBC sitcom also starred Phylica Rashad, Sabrina Le Beauf, Lisa Bonet, Malcolm-Jamal Warner, Tempestt Bledsoe, Keshia Knight Pulliam, Geoffrey Owens (1986-1992) and Raven-Symoné (1989-1992). 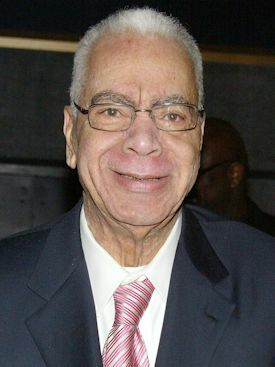 Hyman received an Emmy nomination for Outstanding Guest Performer in a Comedy Series in 1986. He also appeared in an episode of the spinoff series, A Different World. Hyman was also known for his voice work on the animated series ThunderCats. He provided the voices of the hero Panthro and the villains Red-Eye and Ancient Spirits of Evil in the series which aired in syndication from 1985 to 1989. Some of his film credits included The Bamboo Prison, Afrikaneren, The Possession of Joel Delaney, The Super Cops, Coriolanus, Julius Caesar and Fighting Back. He had a long and distinguished career on Broadway. He was nominated for Broadway's 1980 Tony Award as Best Featured Actor in a Play for Edward Albee's The Lady from Dubuque. Some of his other stage credits included Run, Little Chillun, Anna Lucasta, Moon on a Rainbow Shawl, Othello and A Raisin in the Sun. Survivors include his nephews Rick Ferguson and Derryl Ferguson and nieces Yvette Ferguson and Monica Ferguson. Mr. Hyman was a fine actor with a great baritone voice. The episodes where the Huxtable grandparents stopped by were always good ones. Hyman was only 11 years older than Cosby, but somehow they made it work. He will be greatly missed. We thank them both for the laughter and entertainment they brought us over the years.